With the next two games against Aston Villa and Sheffield United also switched to Friday evenings for television, it makes a total of six consecutive games available live on Sky TV. While that may be welcome news for those who prefer to consume their football in their living rooms, for those of us that attend the matches, it is a tale of inconvenience and changed plans. Albion’s last game at 3pm on a Saturday was at Hull City on 3rd November and they won’t play another one until 22nd December; as for a home game, the equivalent dates are more that two months apart with the last such fixture being the 1-1 draw with Blackburn Rovers on 27th October, and the next being the visit of Sheffield Wednesday on 29th December. 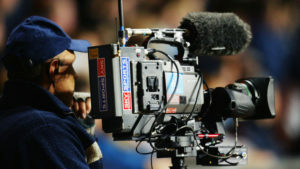 It is little surprise that those Championship clubs whose games are covered most frequently are unhappy with the new TV deal that the EFL have signed with Sky which opens the way to even more televised games with the facility fees barely compensating for the drop in attendances never mind the inconvenience. For me, the Championship offers far better entertainment than the Premier League, at least for clubs like Albion, and the difference in TV income is huge. Despite EFL’s insistence that the deal is signed, I suspect that it’s a story that will run for a while yet. As for the game itself, it will be the first league meeting between the sides for more than a quarter of a century since both clubs were in the third tier. 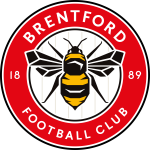 The Bees are now in their fifth consecutive season in the Championship having been promoted under Mark Warburton in 2014. After unexpectedly making the play-offs in their first season back in the second tier, the following season was one of upheaval at the club but it culminated with Dean Smith in charge and a comfortable top half finish. Smith was an undoubted success at Brentford although he failed to get the club back in the play-offs, but now the Bees are recovering from his departure. The West Bromwich-born manager, who was linked with the Baggies job in the summer, is a Villa fan and took the manager’s job at Villa Park in October. Danish coach, Thomas Frank, was appointed as Smith’s replacement, but he has not had the best of starts at Griffin Park. Brentford have lost six of his seven games in charge with their only success being a 2-0 win over Millwall at the beginning of November. The Bees are in the midst of a tough run of fixtures having lost their last two games at home to Middlesbrough and Sheffield United and now face another of the top six in Albion. Their good form under Smith when they lost just one of the first eight league games means that the remain clear of the bottom three for the time being, and they still boast the league’s top goalscorer in Neal Maupay with 13 goals, although his teammates have only managed another 15 between them. Frank can’t be blamed entirely for their recent form, however, as their lack of wins dates back to when Smith was in charge; whether he was distracted by links to the Villa job or not, the win over Millwall is Brentford’s only victory since mid-September, a run of twelve games. Albion, meanwhile, seem to have recovered from their mini-slump and have now won three consecutive games, two of them away from home, and will be looking to extend that run with two home games this week. The victory against Swansea was something of a minor landmark in that it was the first time that Albion have won a league game this season without scoring in the second half. Half time leads have been fairly rare with Albion having been in front at half time on just five occasions this season, including the last two. Only once have they failed to convert a half time lead, however, which was against Blackburn in October. Darren Moore has kept with the same starting line up in the last three games and, while the results will back up that decision, I felt that on Wednesday evening in particular, Albion lacked something up front. Both Barnes and Phillips were quiet and, with Robson-Kanu out wide rather than through the middle, I thought it was crying out for Dwight Gayle. I can understand why Big Dave didn’t make the change until late on given that Albion were leading and looked comfortable, but I think that against Brentford, Albion need to get on the front foot early and I would definitely start with Gayle. The only other player who might be swapped out is James Morrison. Mozza has been excellent since his return to the starting line-up, but with the Villa game coming up on Friday, Moore might be tempted to give him a rest. Having said that, I’m not sure that there is another player that can offer the same energy, dynamism and incisive passing, and certainly not one that can couple that with Mozza’s experience. At Ipswich, I heard one Albion supporter react to a misplaced pass from Morrison with a claim that he was “stealing a living”; I held my tongue as I’m sure that anyone with such a blinkered opinion would not be swayed by reasonable argument, but I do despair sometimes at how some supporters will only see what they want to and just seek to back up their own pre-conceptions irrespective of the evidence. It’s difficult to see why any other changes would be made to the starting line up unless through injury, and I would not be either surprised or disappointed to see an unchanged eleven on Monday evening. Albion were, perhaps, a little fortunate to be ahead at the break at Swansea, but the second half performance was excellent, despite the lack of goals, and I see no reason to change what has become a winning formula. Monday’s game will be just the seventeenth meeting between West Bromwich Albion and Brentford and the tenth at the Hawthorns. The Baggies have won all nine of the meetings at the Shrine, the most recent of which was a league cup tie some 15 years ago. On that occasion, two goals from Rob Hulse and one each from Bernt Haas and Scott Dobie helped Albion to a 4-0 victory, their biggest win over Brentford. The first meeting between the sides was at the Hawthorns in December 1935. Having started their life in the Football League in Division Three (South) in 1920, the west Londoners won promotion to Division Two in 1933 and to Division One just two years later. Their first trip to West Bromwich ended in a 1-0 defeat thanks to a goal from Jack Mahon. Mahon was also on the scoresheet three years later in the highest scoring match between the sides. The Bees managed to score three at the Hawthorns but Joe Johnson scored a brace for the Baggies with Sammy Heaselgrave also scoring along with Mahon to help the Baggies to a 4-3 win. The Bees were relegated from Division One in 1947 and are yet to return to the top flight. After the clubs met in Albion’s promotion season in 1948/49, the Baggies winning the Hawthorns encounter 2-0 thanks to goals from Davy Walsh and Arthur Smith, the clubs met just once in the next four decades when Derek “The Tank” Kevan scored twice in a 2-0 FA Cup win at the Shrine in 1959. It took the Baggies relegation to the third tier in 1991 for the clubs to meet again. 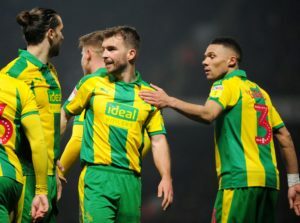 Albion completed the double over Brentford that season, including another 2-0 win at the Hawthorns (Bob Taylor and Wayne Fereday), but the Bees won the league and, with the clubs swapping divisions the following season, that Hawthorns win in February 1992 is the last league meeting between the sides. It’s a good time to play Brentford, it would seem, given their current form and the Baggies should have enough to register a fourth successive victory.